The Aussie team is now operating in Bath. 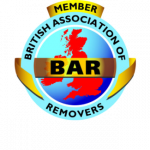 For over a decade, we’ve provided the best removals, storage and moving-related services in the capital and now we’re bringing all that expertise, along with our famed ‘can-do’ ethos, to Bath and the surrounding areas. We relocate about 10,000 homes and businesses a year and have the highest customer satisfaction rating, through a combination of Trust Pilot and Google Reviews in London. At Aussie, we do every type of removals job. No matter how big or small, we bring the same standard of service to everything we undertake. Our goal is always to meet our customer’s requirements. We assess every job in detail so that we can match it with the correct mix of removals and/or storage services. Every mover, driver, planner and packer is BAR-certified, meaning that our clients are guaranteed world-class service every time. The widespread industry practice of farming out jobs to sub-contractors is something we NEVER do; every aspect of your move is handled by Aussie. package. Our dedicated Man & Van service is ideal for people with fewer items or a shorter distance between location points. This service charges by the hour, so you only pay for what you use. If it turns out that there are more things to relocate than originally expected or the furniture is more substantial than anticipated, we will upsize you to a removals van. Aussie offers an unbeatable range of storage packages. We have two storage options that will suit everyone’s needs. Our containerised storage is ideal for people who require long-term storage without regular access needs. Self-storage gives you unlimited access, which makes it ideal for busy individuals and businesses who need constant access to stock. Aussie is known as the ‘can-do’ company; it’s a concept that runs through everything we do. There is no ‘can’t’; we always find ways round problems, heading them off before they cause trouble. There’s no job that’s too complicated or too simple. There’s no shrugging of shoulders or giving up; we will always find a way over obstacles, and get you the move you need. With each customers, we devise an individual package, choosing the appropriate components from our range of services to fit their requirements. The Aussie team have the right equipment and the necessary experience to undertake any and every removals job. We specialise in transporting fragile and expensive valuables, ensuring that no damage occurs to anything in transit. We have experts at hand for challenging items, including grand pianos and antiques, and our team is made up of people with backgrounds in plumbing, electrics, IT and carpentry. We will thoroughly assess your relocation so that we can get you the correct package. Every part of our assessment process is transparent, and the quotation you receive is what you’ll pay. There are no hidden fees, and you only get the service you need. We will work out the most efficient and cost-effective way to relocate you, with no corners cut, and we’ll deliver on our promises.